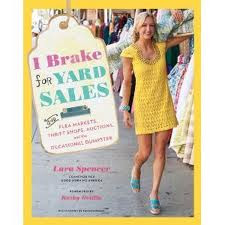 I just finished reading Lara Spencer's new book I Brake for Yard Sales and took away three good pointers. A plastic shower curtain is a good solution for covering chairs that are used frequently by children. I had a light-bulb moment with this tip. This would've never crossed my mind. 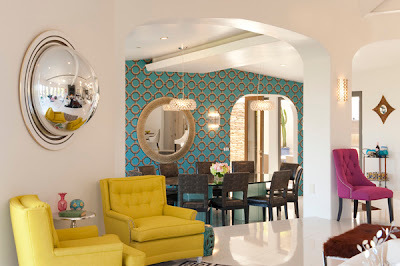 Shopping for home products requires a certain level of diligence (believe it or not) in that you sometimes need to see way beyond the items you're looking to purchase. So, for instance, say you're debating whether to buy a dingy lounge chair at your local flea market. Think about how it can easily be transformed with a coat of paint and gorgeous new fabric. 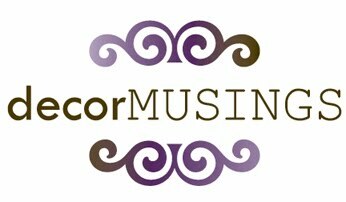 Very often many people, including myself, pass on fabulous pieces with beauty that you can uncover with a little bit of work. Don't forget the Web in your hunt for unique home finds. 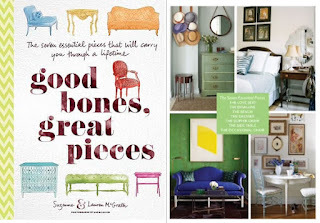 I get a thrill out of finding new online retailers that carry stylish home accessories. While I'm all for the West Elms and Pottery Barns of the world, I find equal pleasure in searching websites that probably aren't as popular or are simply new to me. Lara' book brought my attention to This is Not Ikea, which has amazing vintage furniture and accessories and offers design services as well. Yes, yes, yes. In addition to attending a birthday party/BBQ and a networking mixer, my weekend will consist of soaking in some decorating tips from Good Bones, Great Pieces and I Brake for Yard Sales. I've been longing to read these two books for a little while, so I'm looking forward to it. Enjoy the weekend, too!